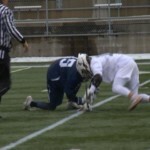 TRAVERSE CITY – High school boys lacrosse continues to grow in popularity around northern Michigan as two more local programs recently began their first season as MHSAA-sponsored sports. Traverse City United, a co-op of Traverse City Central and Traverse City West, and Petoskey took the field for the first time last week as a school-sponsored varsity support. 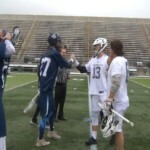 While last week’s games served as the first MHSAA contests, lacrosse is nothing new in Traverse City or Petoskey as the sport had flourished at the club level for the better part of the last decade. 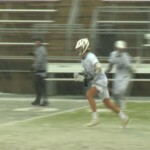 The two programs join Traverse City St. Francis, which moved up to the varsity level a year ago, as the only four schools to currently support varsity lacrosse in northern Michigan. For Petoskey, the opportunity to become an MHSAA sport was not just an accomplishment for this current roster of players but for future classes. 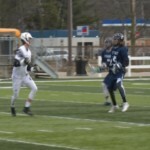 “For the freshmen and sophomores, and the guys that are down in middle school it’s a huge deal because it’s kind of what they’ve been working towards,” Petoskey coach Brian Main said. “The few seniors we have brought the program along, it’s exciting for everyone. 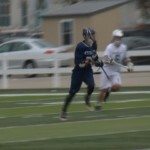 Although only two games into the season, United is adjusting well as a new team, having picked up wins over Petoskey (16-4) in the inaugural game for both sides and Sault Ste. Marie (20-5). 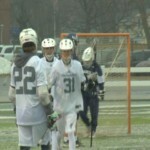 As winter weather has wreaked havoc for spring sports, Petoskey has seen the field just once so far but is scheduled to travel to Bay City Western on Sunday. United is a Division 1 program for the next two years of its co-op and will compete in a regional hosted by Grandville in May while Petoskey joins St. Francis in Division 2 and at an East Grand Rapids regional. Traverse City United and Petoskey are both in their first season as an MHSAA-sponsored sport.